The EU’s proposed copyright reforms have been the subject of much debate, especially in the finer details. Both sides of the debate fundamentally agree with the need for protections for creators and rights holders, but the nitty-gritty has caused a divide. 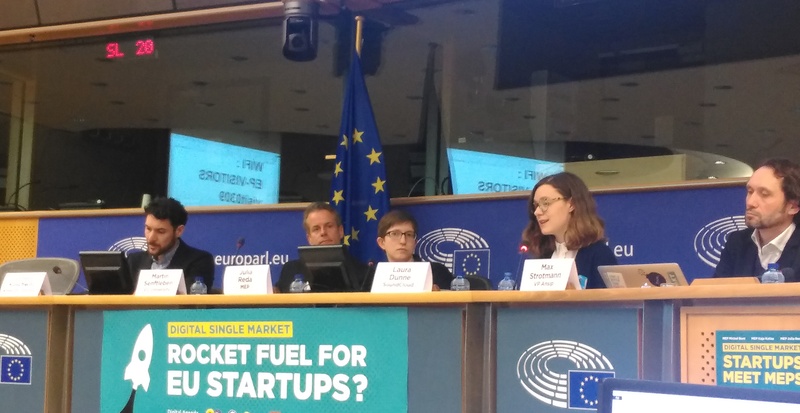 Last Thursday, MEPs Eva Maydell (Paunova), Brando Benifei, and Julia Reda co-hosted an event with the Digital Agenda Intergroup at the European Parliament called ‘Digital Single Market – Rocket fuel for EU Startups?’. 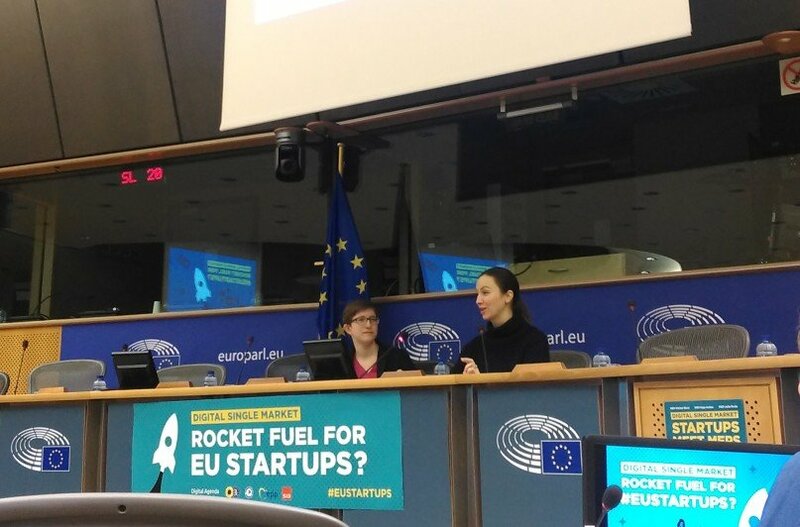 The day featured talks and panel discussions examining the state of the EU’s Digital Single Market, copyright reform, how startups can benefit from, or are hindered by, the policy changes, and how the EU can create effective legislation for major companies and startups alike. “To put it more bluntly, when we’re trying to regulate the likes of Google, how do we ensure that we’re not also setting in stone that any European competitor that might be growing at the moment would never emerge in the first place?” said Julia Reda. 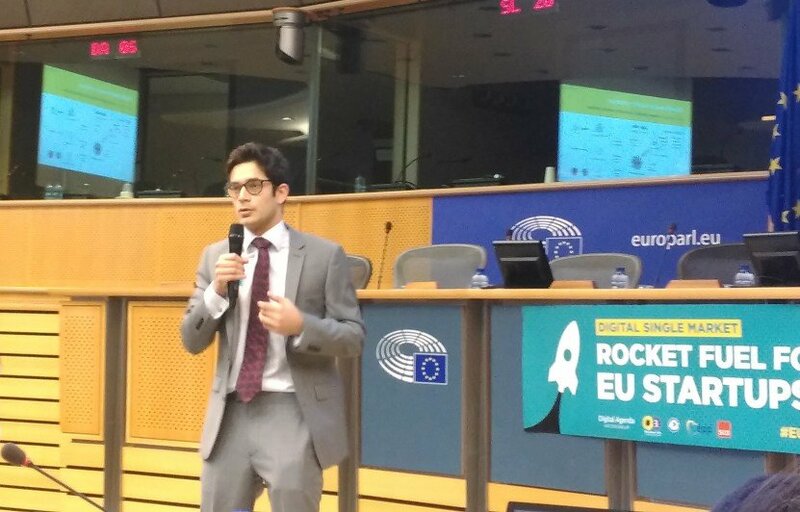 Policy is not usually on a startup’s agenda when focusing on building an MVP or business model, said Lenard Koschwitz, director of public affairs at Allied for Startups, but added that startups need to engage and be aware of these changes being discussed in the halls of Brussels. The reforms may be well-intentioned but could actually have the opposite effect, whether it’s the obligation to implement content ID technology, the restrictions on text and data mining, or neighbouring rights for publishers. Some of this legislation “could really chill” how European startups receive investment or are acquired by larger firms, said Sanaea Daruwalla, general counsel at NewsWhip, pointing to the Associated Press, which has invested in NewsWhip, as an example. Attendees also heard first-hand accounts from several startups about how the copyright reform proposals will impact them. For Belgium’s MuseScore, the requirement to implement content recognition or filtering technology presents a significant problem. Its software is used by composers and musicians for writing and playing sheet music. To date, the company has used the traditional method of takedown requests filed by rights holders to address any copyright disputes. “Now with the proposed changes, meaning for instance having to build filtering technology, this would not be feasible for us,” said Thomas Bonte, cofounder of MuseScore, which is self-funded. The matter of content identification became a hot topic during one of the panel discussions. The reforms would potentially set a very low threshold for hosting infringing content, which would have a disproportionate effect on smaller companies. “This is no rocket fuel at all, this is exactly the opposite,” said Martin Senftleben, professor of intellectual property at VU University Amsterdam, on a number of the provisions as they will give stronger players in the market an even greater edge over emerging startups. SoundCloud is of course one of the biggest players in European tech and has the means to implement a content ID system, which it has done so since 2010. But these systems are not one-off costs and, according to Dunne, SoundCloud continues to spend around €3 million a year on this technology. The reforms go on to refer to large amounts of content, which has raised questions over what exactly is a large amount of content. Obviously YouTube has a large amount of content but what about a company like MuseScore? “As an open platform that allows users to share content and upload their own directly, at what stage does that become large?” said SoundCloud’s Dunne. Ultimately that could create less choice and less diversity in content. SoundCloud does point out, however, that it is not opposed to the fundamentals of the reforms but rather the creation of obligations like content ID. The day’s talks and panellists were weighted to the opposition of these finer details of the reforms. Max Strotmann, representative of Digital Single Market commissioner Andrus Ansip, however seemed to take issue with the language around ‘filtering’, saying that these sorts of systems are simply things that companies must consider eventually. “This is recognition, it is a tool to help me as a platform to come to grips with an issue they are in any way faced with, that sooner or later someone will knock on my door and say hey guys you have stuff on there,” he said. The other major bugbear for many startups is the restrictions on text and data mining. As the reforms stand, there will be an exception for research bodies but not for commercial purposes. UK startup FactMata is a mere three months old and is tackling a very current issue: fake news and online misinformation. The startup’s extension uses AI to vet news articles and public figures’ claims in real time. It scans news snippets and social media comments to give the user a deeper context and advice on what details should be double-checked. “At the moment we are focused on open data sources but that could change over time,” said co-founder Dhruv Ghulati, which would mean running afoul of text and data mining rules. One loophole for startups to get around this would be to enter into a public-private agreement with a research organisation or university, explained VU University’s Senftleben. “All the other parties that are doing text and data mining that are not involved within these research organisations, they would be infringers,” he said. Right now, the legislation is focused too much on the here and now, continued Senftleben, where the rules could be obsolete by the time they’re drawn up and passed. It is not focused on emerging future technologies like AI. “What the legislator in Europe should do is look at what the challenges we can expect in five years,” he concluded.